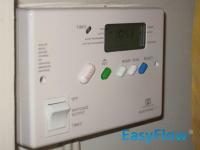 If you have a fault on your water heater timer or if you do not have a timer fitted, we can advise on which type would best suit your hot water system and provide a quote for the installation. The controls or time clocks on electric water heaters are often set and forgotten about until the moment they fail and need to be replaced. However heating controls should be checked occasionally for signs of overheating or burning to avoid problems and inconvenience. 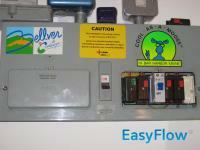 Please note: EasyFlow will guarantee the work we undertake for you but we will not guarantee manufacturers' parts e.g. the timer or programmer. Manufacturers often offer a 12 month warranty on parts; this will be passed on to you. Thank you for dealing with my Gledhill water heater so promptly. The engineer explained everything so well to me & the alternatives to resolve my problem. He discovered that my timer to the heater had been wrongly wired. 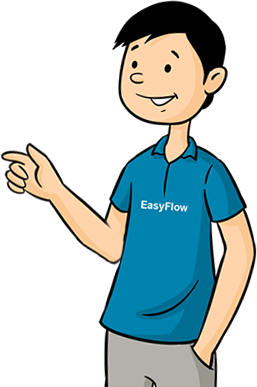 The charge for the call out, replacement thermostat & his labour were very fair & I would definitely use EasyFlow again if I have any problems with my water heater again. I also recommended you to my manager. The service was carried out quickly and efficiently by a knowledgeable technician. He turned up exactly as promised on the day and on time. Can't fault the service provided and would recommend Easy Flow to anyone wanting a hot water system servicing. 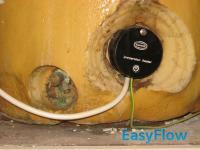 We used EasyFlow for the annual service of our Range unvented hot water cylinder. We will definitely have them back next year. 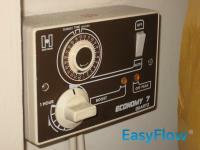 I came across your EasyFlow by searching for unvented water heater engineer. It turned out to be not a problem with my electric water tank, but an electrical problem. 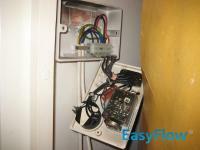 EasyFlow were able to identify the fault straight away. Even though an electrician had already attended who told me it was a fault outside the apartment.